The list of reasons is long. It starts off with safety and security at the top, followed by accessibility. Just ask any professional teambuilding facilitator or an experienced corporate and social event planner and you will get a good idea of why many companies in Manila choose Pampanga’s Clark Freeport as their destination for company outings and team building events. What started as a popular getaway destination for Manila residents stressed out from living and working in a crowded city, to enjoy a brief reprieve away from home, Pampanga Clark Freeport Zone has turned into major destination for corporate outing and team building event. These days event young couples choose to hold their wedding receptions in one of the resorts in Clark that offers good outdoor venues for garden wedding. Hotels like Clearwater Resort in Clark Philippines that offer spacious outdoor facilities as well as a sense of peace and nature are especially sought after for their stress free, laid back ambiance, the kind of lifestyle that team building facilitators look for in an event venue. 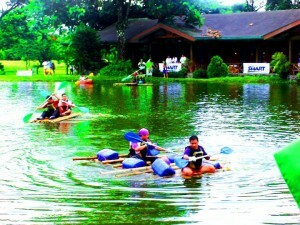 More about Team building venues available in Pampanga, Clark Freeport ………. Wedding planners and team building facilitators in the Philippines are very particular about privacy and exclusivity. Public beaches and other non-exclusive event venues dramatically increases the risk of undesirable incidents, any one of them can severely damage the effectiveness of the event. Clearwater Resort is one hotel in Clark that offers not one, not two but twelve (12) outdoor venues for corporate and social events in Clark. Every one of these event venues offers a keen sense of exclusivity as well as a high degree of privacy. 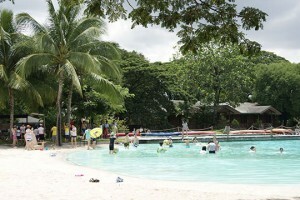 The event venues of this resort in Clark come in different sizes enabling the resort to accommodate team building events as small as 50 persons, all the way up to 5000 or more. More on different event venues for team building in Pampanga, Clark Freeport ………. This resort in Clark offers a small number of cottages, lodges and cabins that blend seamlessly with the natural ambiance of its landscape. Some are in clusters of several rooms and there are those that are completely private. Some of these facilities for overnight accommodation in this resort are located around the lake while others are in the picnic grounds. They are spaced out across the large expanse of grounds of this resort, so yes, there is a bit of walking but there is a good sense of privacy also. 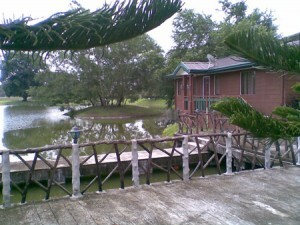 More on cottages, lodges and cabins for overnight accommodation at this resort in Clark Pampanga ………. Pampanga Clark Freeport’s proximity to Manila enables event planners to organize day tours. Instead of staying overnight, the overall cost of the team building event can be reduced. Some of the savings can be channeled into improvements in other aspects of the event, better food for example. The beautiful scenery and the quiet ambience of the lake and beach of this resort in Clark attract many visitors throughout the year, especially those who look for a good place to spend their holidays near Manila. Many visitors regard Clearwater as the best resort in Pampanga while event organizers and wedding planners appreciate this resort in Clark Philippines for its private event venues that are generally regarded as some of the best event venues in Pampanga. Those visitors who would like to enjoy good meals in their vacations would be delighted to know that Clark is also home to some of the finest restaurants in the Philippines. Manila wine lovers have long discovered that there is one fine dining restaurant in Clark Pampanga that offers an award-winning restaurant wine list. The name of the restaurant is Yats Restaurant. For more information about this restaurant in Clark, call (045) 599-5660 or 0917-520-4401.